Eating your daily rainbow and mixing things up in your diet, keeps your tastebuds interested and your body happy. Each color represents different nutrients your body needs to function properly; so adding in different types of produce daily or weekly, creates a constant flow of nutrition baling the body to perform its daily tasks. 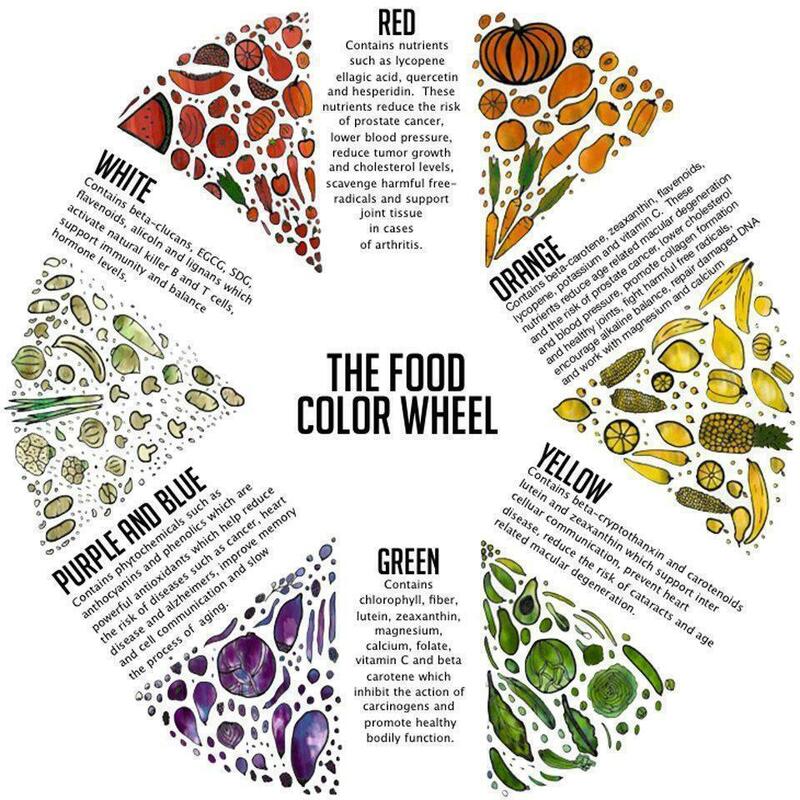 Here is a great food wheel from Daily Super Food Love to explain what each color represents & help you on the road to eating your daily rainbow. Very well explained the meaning of colours in our diet. We should choose our diet to keep our body fit & healthy. After all good healthy is depends on healthy lifestyle & healthy diet.